Perfect for your Valentine! Oh and it’s vegan, gluten free, refined sugar free and even freezer friendly! Wake up well & Win The Day with Victory Dance Foods! Victory Dance Foods is a range of all natural breakfast goods on a mission to be different, and redefine what you eat for breakfast. 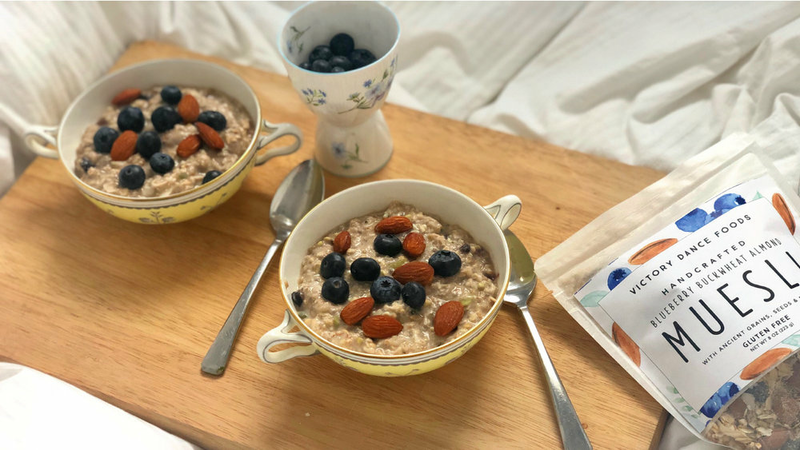 We believe what you eat first thing in the morning plays a big role in determining how you look, feel and act throughout the day and that making healthy choices for breakfast is the first step towards a healthier lifestyle. Carefully created with nourishing superfoods to fuel your healthy and active lifestyle. Handcrafted from scratch in our dedicated gluten-free kitchen in Chicago and always free from Gluten, Dairy, Soy and Refined Sugar. We took the classic and made it way better, supercharging it with superfood seeds + ancient grains. Low in sugar, high in protein and 100% gluten free. 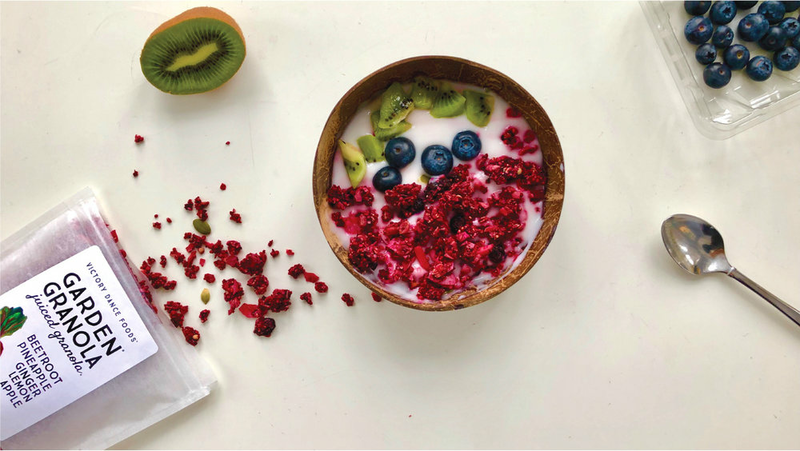 Say goodbye to cereal as you know it, grab some milk/mylk, a bowl and a spoon because breakfast is served. Ever noticed how most granolas taste the same? We did, so we decided to change things. 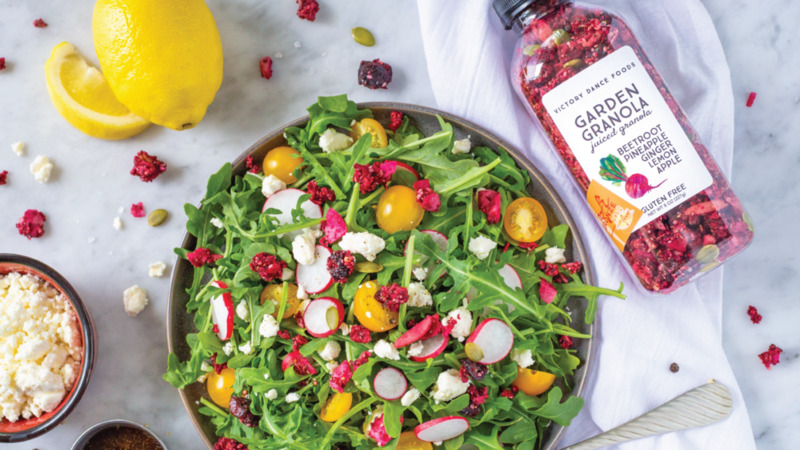 Made with whole raw beetroot, pineapple, ginger, lemons and apples, GARDEN GRANOLA®  taste like the deliciously scrumptious love child of fresh cold press juice and granola. We first created GRANUESLI® when I was training for Ironman Wisconsin and needed extra energy to get me through the long training days. We take our muesli mixes and soak them in a mixture of apples, fresh bananas and local Wisconsin Honey and a pinch of spice and then bake it to perfection.